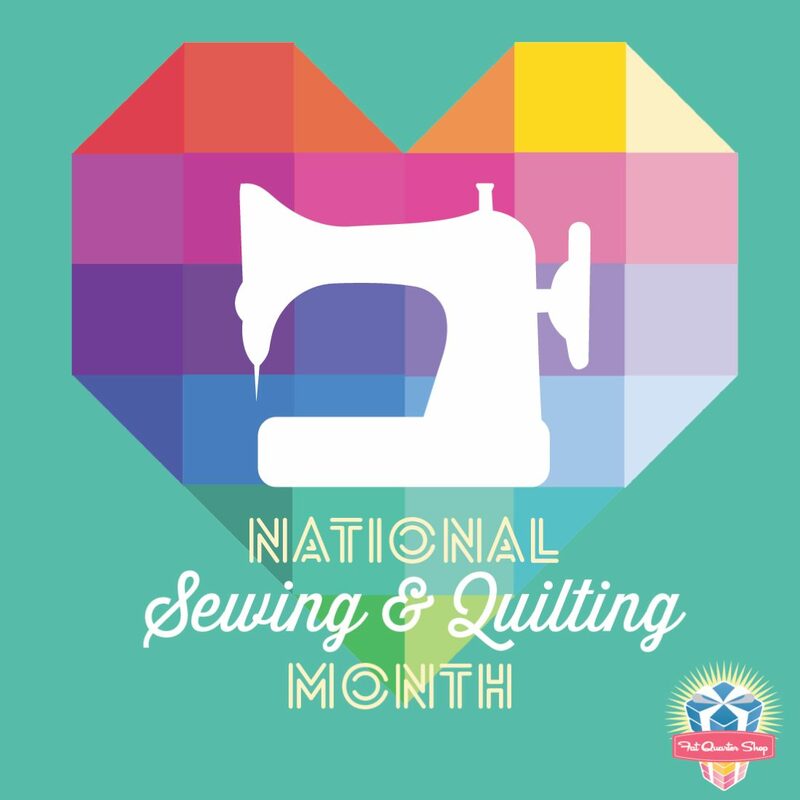 It’s my turn for the National Sewing and Quilting Month blog hop from the Fat quarter shop and they have asked me to answer a few questions. 1. How did you start quilting / sewing? I was always a hand stitcher from when I was knee hight to a grasshopper but I discovered quilting when I was 19 and a friend invited me to a quilt making class. I made a queen sized, hand pieced, self-designed and hand quilted quilt. When I felt an overwhelming feeling of happiness and excitement in making something that was going to be used and loved. I was also pretty chuffed when I sewed something that did not fall apart in the first wash.
3. 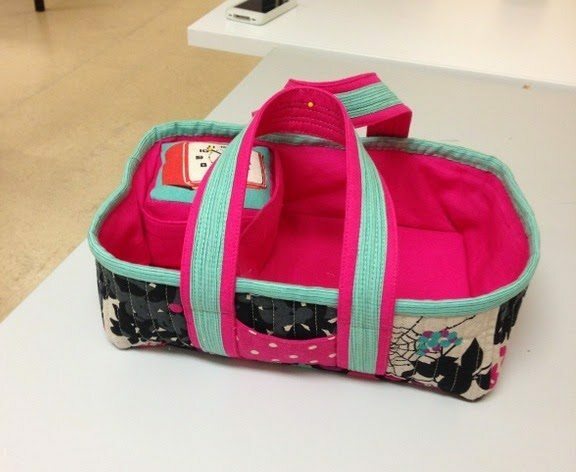 Do you have any quilting/sewing horror stories or faux pas? Besides the occasional mistake of sewing blocks the wrong way, I have had a run of quilting related injuries. Who said quilting was not an occupational health hazard. I dropped a large ruler on my big toe, had a long arm needle go through my index finger and nail and sliced through my thumb and nail with a rotary cutter. I believe I have accomplished the trifecta of misfortunate accidents for one year. They say you leave a part of you in every quilt. Fortunately, I didn’t. Slow down. Think about the real reason you are making that quilt. Make it with love and give it to someone as an act of love. Never stop learning from people, internet or books about the craft. 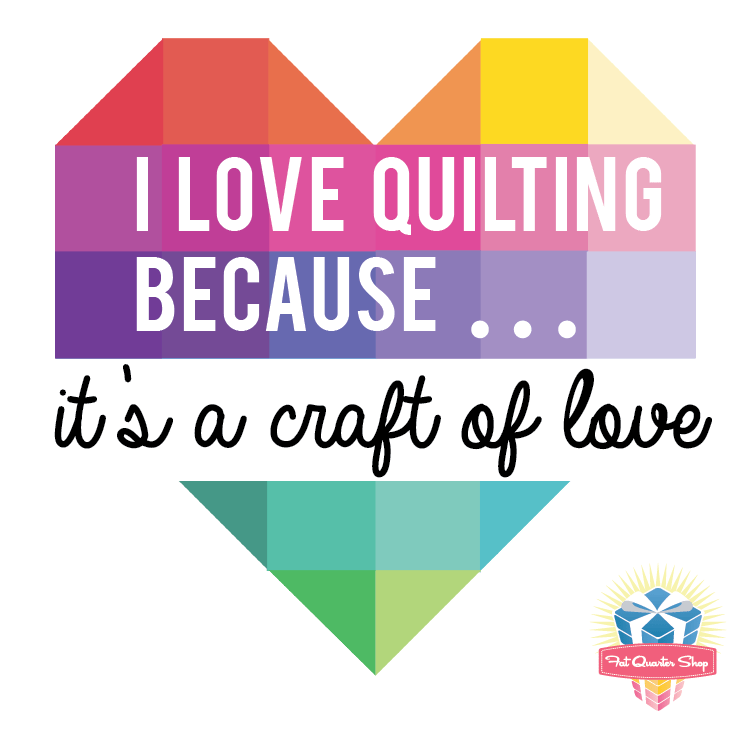 For my heart button, I chose, “I love quilting because …. it’s a craft of love”. We were also asked to sew something that you generally would not attempt. 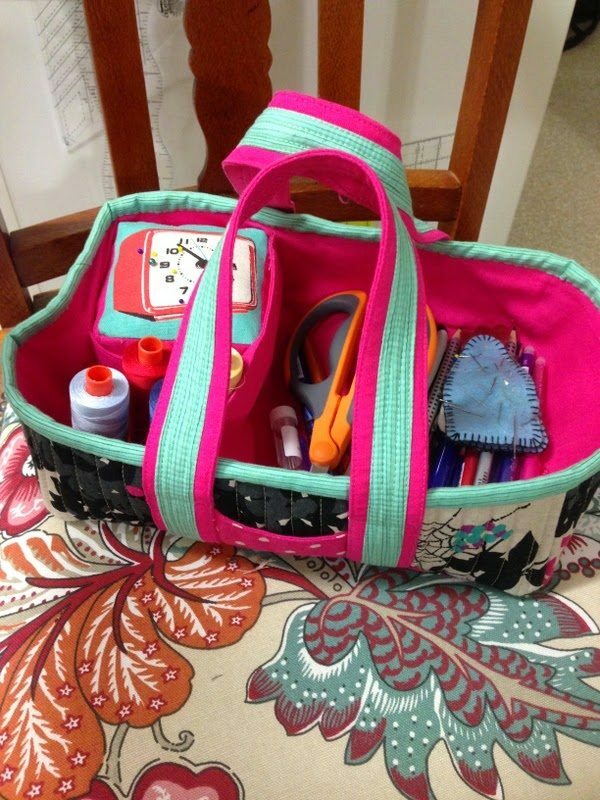 I made recently the Social Tote (Carolyn Friedlander pattern). It was a fun project and even better because I did it with a class so, the socialising with the social tote was an excellent combination. Make your own heart with the Colour my Heart Pattern. Finished quilt size is 27″ x 27″. You're an inspiration Jane! I love your philosophy for quilting and I love how you see and use pattern, colour and technique. You're amazing!